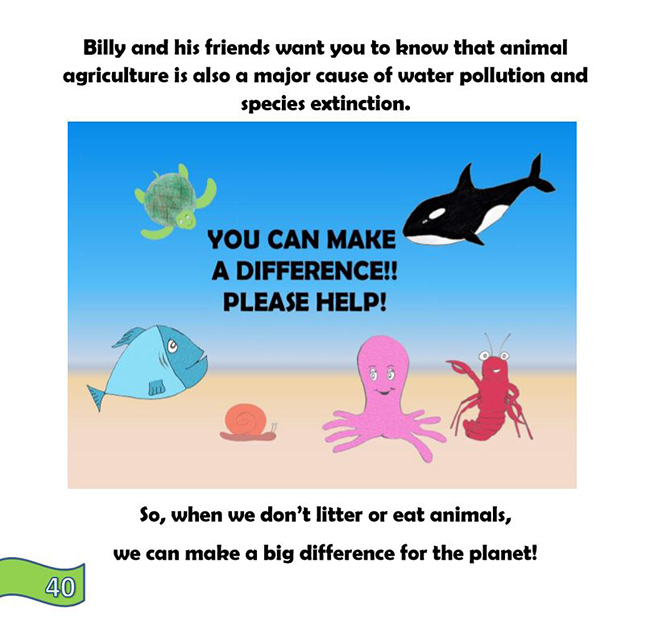 A ground-breaking vegan children’s book has been released that gives parents a non-graphic, fun, and interactive way to teach kids about the animals that are commonly used for food and clothing without the fear of giving them nightmares. We all want what is best for our children. We strive to give them the best food, the best education, and the best overall experiences growing up. We teach them to be honest, caring and respectful to those they interact with. Sometimes this means keeping uncomfortable information from our children that we feel is too advanced or intense for their young, innocent minds. This is a big reason why many children grow up into adulthood, without ever knowing where the meat, dairy, and eggs they eat comes from, and the processes that must take place for this to happen. Many of us know that jaw-dropping feeling when we found out we had been lied to our whole lives about Santa Claus, the Easter Bunny, and the Tooth Fairy. 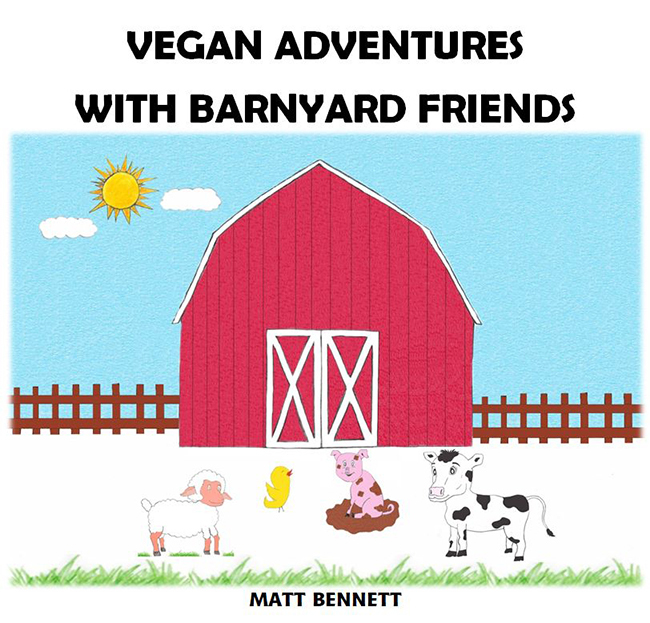 Well, Matt Bennett, author of the vegan children’s book, “Vegan Adventures with Barnyard Friends” says that’s the feeling he got when he found out at the age of 25 what happens to animals before they ended up on his plate. It was at that point he knew he could not continue contributing to such unnecessary suffering. Six years later, still vegan, and in the best health of his life, Bennett decided he needed to give parents a non-graphic, fun, and interactive way to teach kids about the animals that are commonly used for food and clothing without the fear of giving them nightmares. 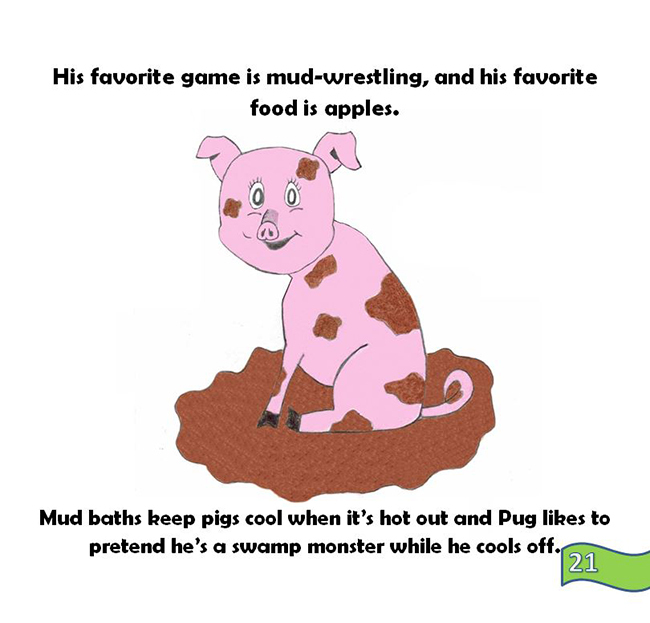 Vegan Adventures with Barnyard Friends takes children on a fun and educational adventure through the eyes of the animals that are commonly used in food and clothing production to show that each animal is an individual with a unique personality, and therefore equally deserves the same respect and compassion that our family dogs and cats receive. Not only is the book a great read for little ones, it also 15 colourful and fun workbook activities and puzzles to help them delve deeper into the subject to give them a firmer understanding of ethics. In 2019, Bennett plans to work on expanding the reach of his book into more school libraries and children’s educational programs throughout the world. Not only is the book an essential read for those with young children, but 5% of all proceeds will also go to support animal sanctuaries and/or humanitarian efforts.